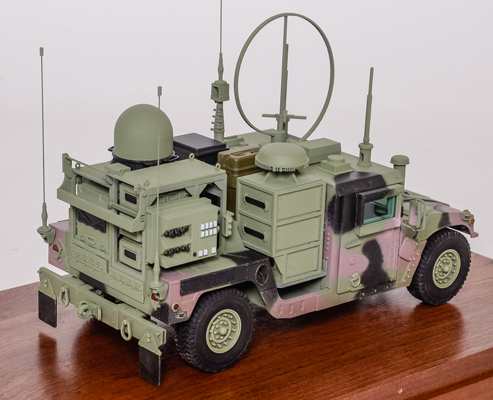 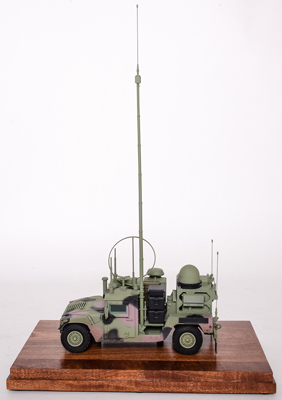 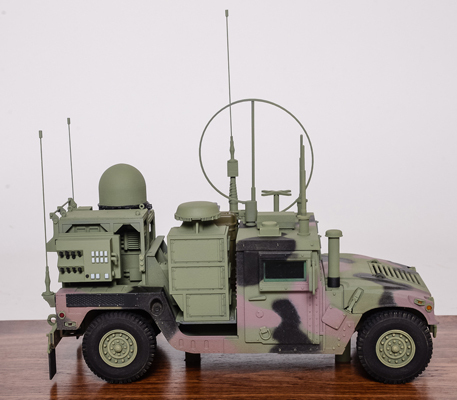 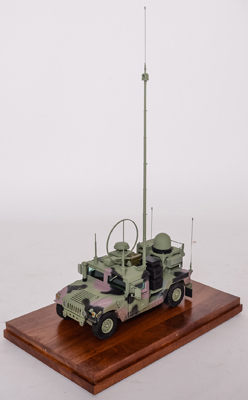 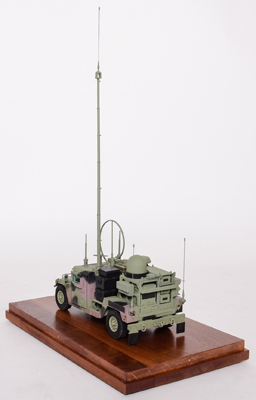 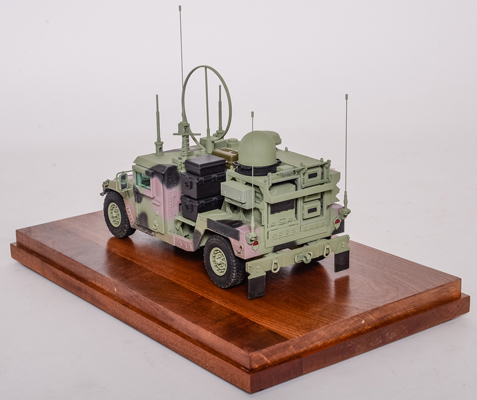 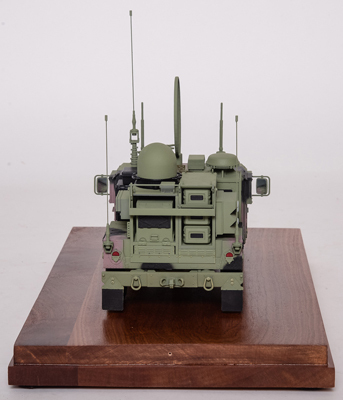 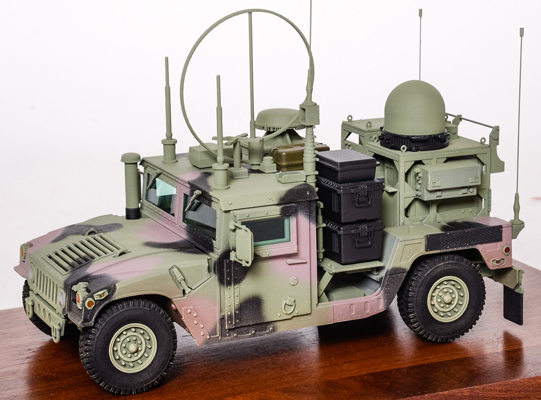 This is a 1:16 scale model of a communication vehicle. 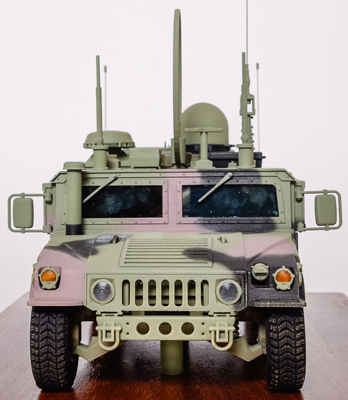 It features a set of communication equipment mounted on up-armored HMMWV cargo truck, most closely resembling the M1152 version. 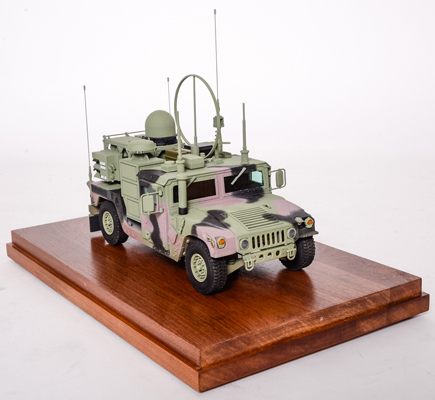 It is targeted for trade shows and presentations and further promoting our line of trade show models in 1:16 scale. 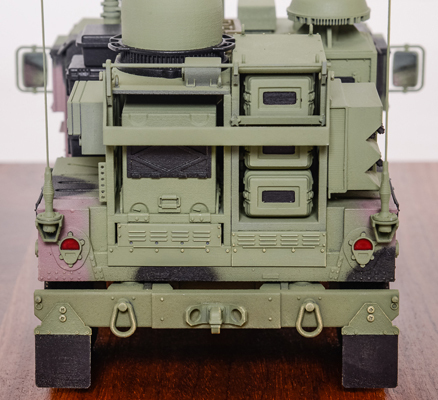 This model is 3D developed and 100% rapid prototyped in high durability materials. 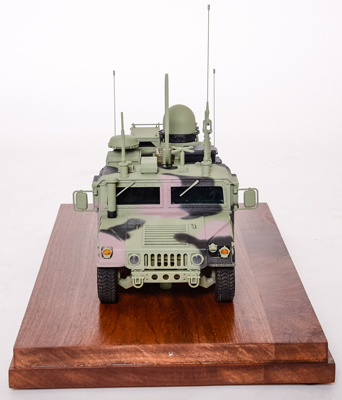 The HMMWV replica features highly realistic tire thread, translucent lights' lenses, clear and colored, and real mirrors. 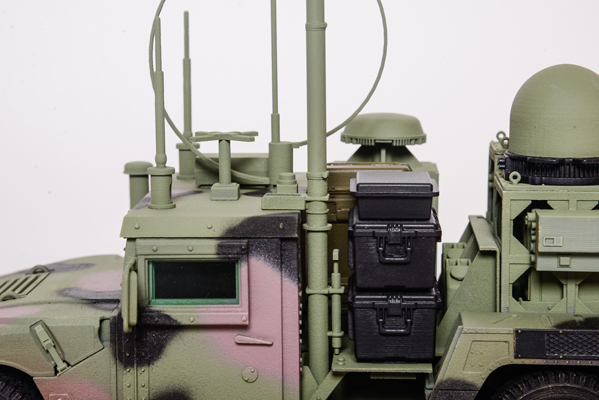 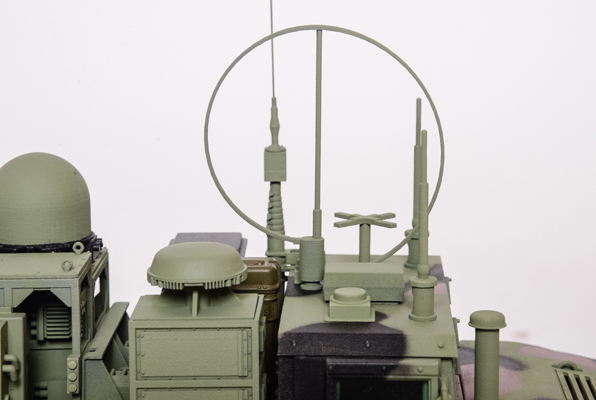 The set of equipment features a number of various cases and antennas, all highly detailed, with reconfiguration options. 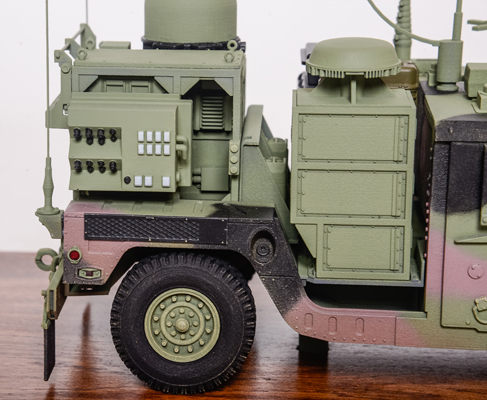 The model is painted in green camouflage colors. 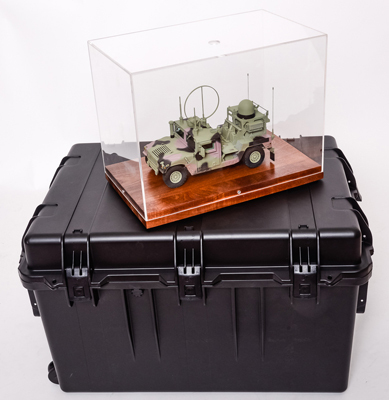 The model is mounted on a wooden base, accompanied by a clear protective cover and packed in a heavy duty hard plastic transit case, protecting the model during transportation. 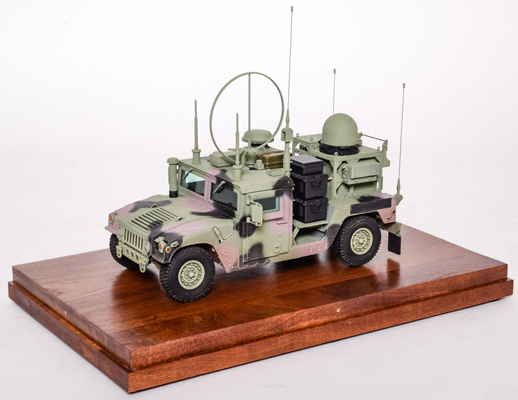 The model was appreciated for the accuracy, high level of detailing, durability and speedy production.